Every iron entry door by Signature Iron Doors is hand crafted and forged. 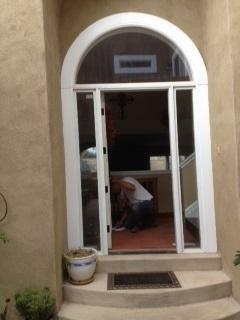 This is a recent install we did in Albuquerque New Mexico. 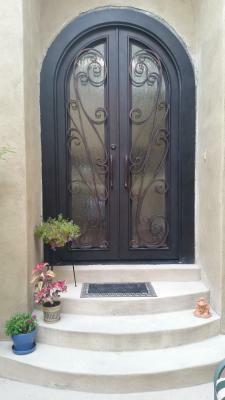 Signature Iron Doors hopes to help you create a place others will be drawn to. Our Signature promise is that you and those you love will not only feel secure due to the durable iron, but will appreciate the beauty of home due to our unique signature scrollwork. Please call us and set up a time to visit with a sales representative to discuss how to obtain a Signature Iron Entry Door for your home.